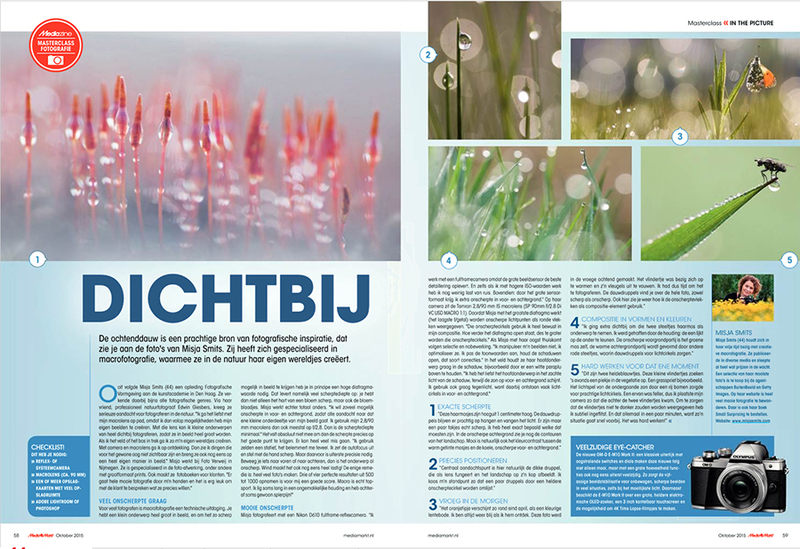 Misja was interviewed by the Dutch magazine Mediazine (from Mediamarkt) for their 'masterclass photography' item. She shares with the readers 5 tips to create atmospheric macro photos. 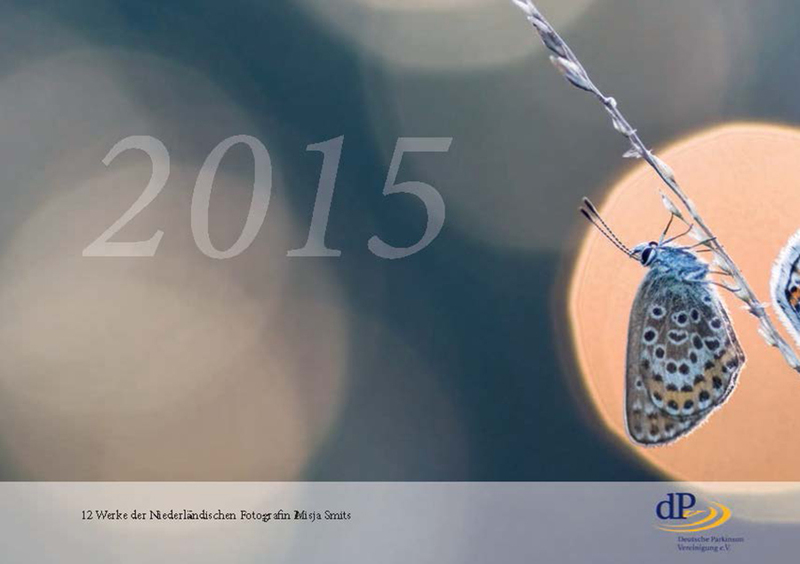 The German Parkinson Association has put together a calender for its patients for the coming year 2015. This calendar is totally filled with pictures of Misja. She is more than thrilled and feels extremely honored with this fact. Many thanks go to Friedrich Mehrhoff, the director of the German Parkinson association. 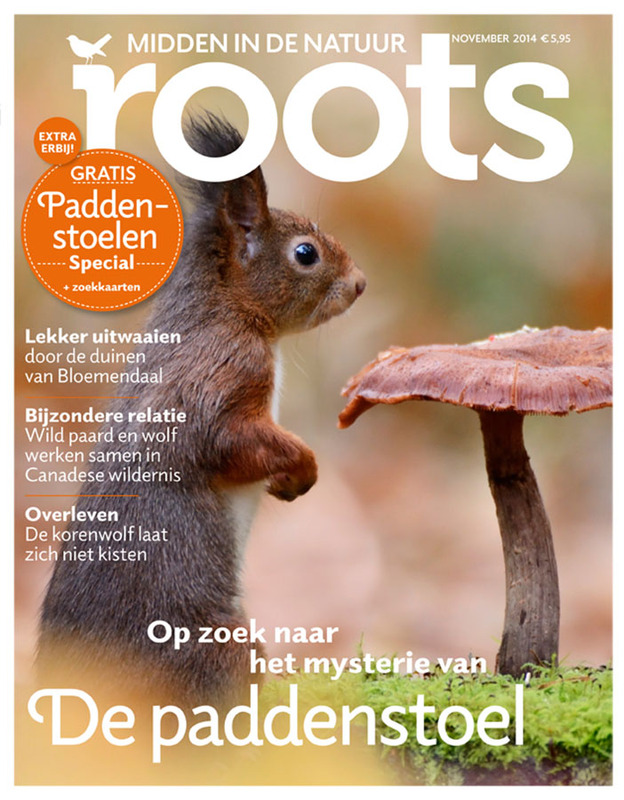 And yes, also in 2014,"http://www.rootsmagazine.nl/" class="ngg-publications-link" target="_blank">Roots. What an honour! The image used is an autumn image of a squirrel sitting next to a huge toadstool, taken back in 2012.